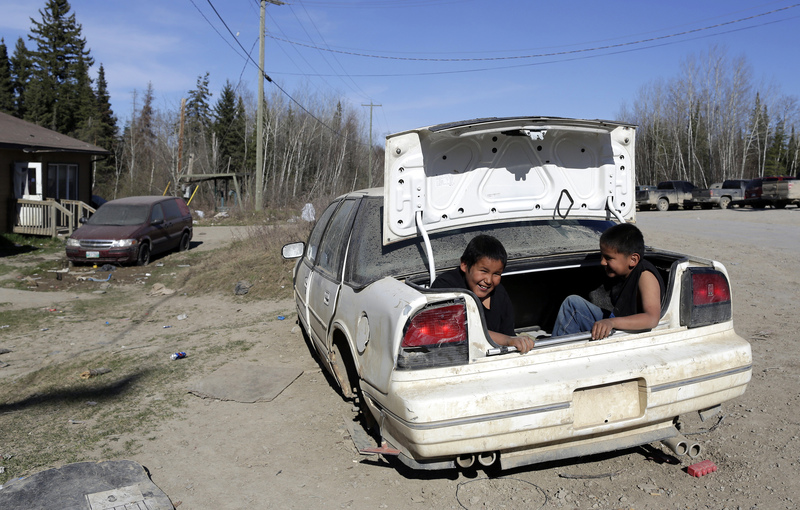 Boys play in an abandoned car next to the muster point where hundreds will search for the remains of Teresa Robinson on the Garden Hill First Nation Manitoba, May 23, 2015. 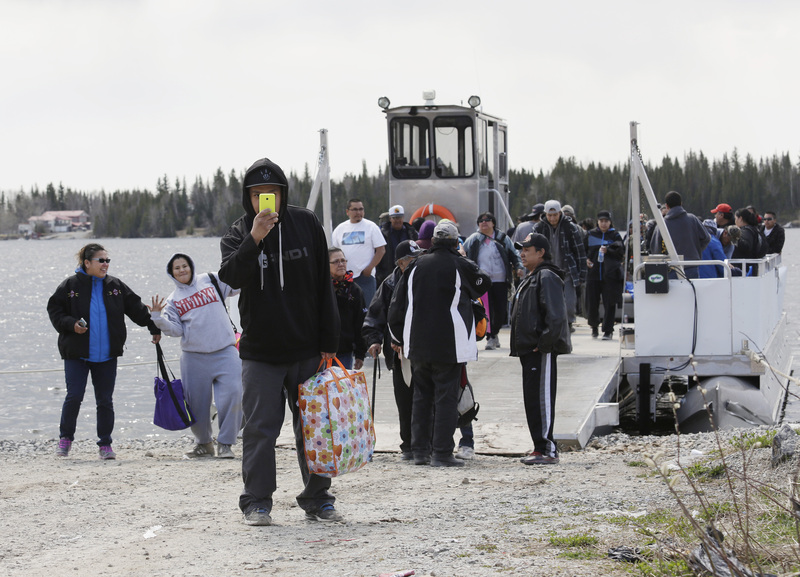 Volunteers from neighboring communities arrive to search for the remains of Teresa Robinson on the Garden Hill First Nation Manitoba, May 22, 2015. 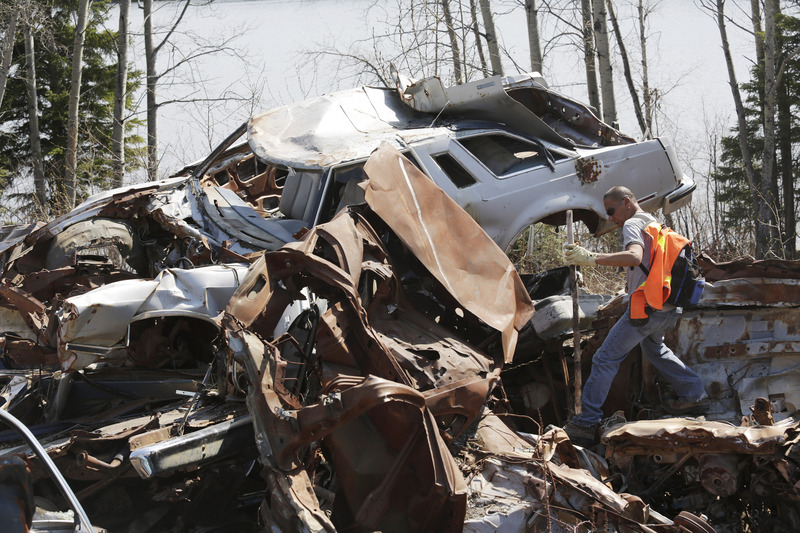 A volunteer from searchs abandon cars for the remains of Teresa Robinson on the Garden Hill First Nation Manitoba, May 22, 2015. 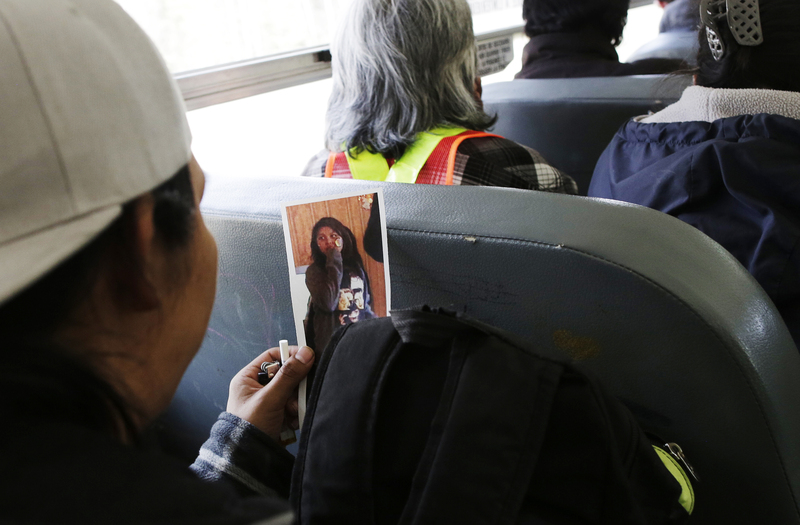 A volunteer looks at a photo of Teresa Robinson on a school bus while being transported to a search site on the Garden Hill First Nation Manitoba, May 22, 2015. 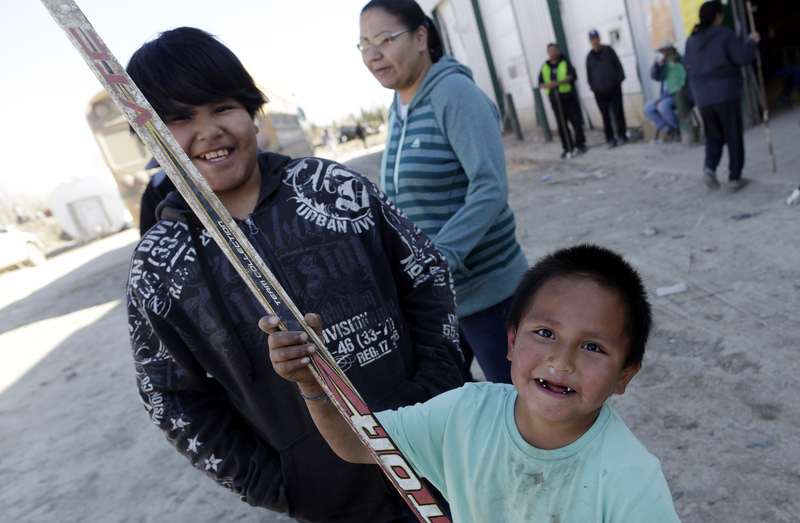 Boys play some road hockey at the command centre for searchers looking for the remains of Teresa Robinson on the Garden Hill First Nation Manitoba, May 23, 2015. Sylvia McDougal cuts moose meat to feed volunteers from neighboring communities that have come to search for the remains of Teresa Robinson on the Garden Hill First Nation Manitoba, May 23, 2015.